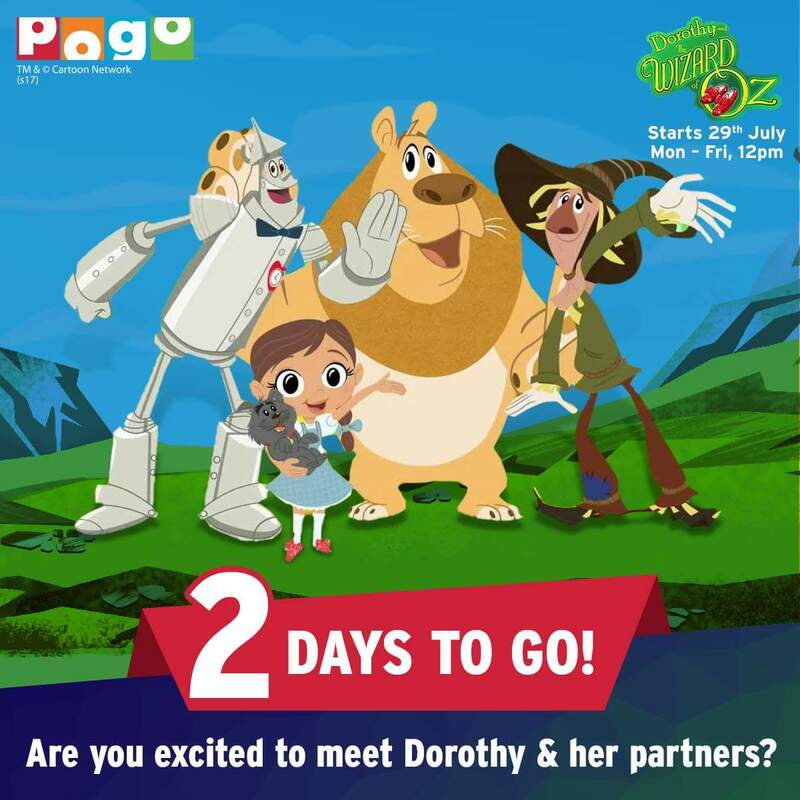 Pogo kids entertainment channel, is all set to launch ‘Dorothy & the Wizard of Oz’, an all-new comedic fantasy series based on L. Frank Baum’s renowned classic.The series will air every Saturday and Sunday at 12 noon from 29th July on Pogo. The new series kicks off from the Wicked Witch’s defeat, and our Kansas girl is called upon by Queen Ozma to rein in the chaos in Oz. Doe-eyed Dorothy once again lands up in the enchanting universe of Witches and Wizards, Munchkins, Flying Monkeys and many more creatures, with a whole lot of responsibility. Her companions – Tin Man, Scarecrow, Cowardly Lion and Toto – help her put an end to all mischief in the fantasy world of Oz, as they bring with them dollops of pluckiness, fun and frolic.